The material framework of modern civilization is the industrial system, and the directing force which animates this framework is business enterprise. To a greater extent than any other known phase of culture, modern Christendom takes its complexion from its economic organization. This modern economic organization is the “Capitalistic System” or “Modern Industrial System,” so called. Its characteristic features, and at the same time the forces by virtue of which it dominates modern culture, are the machine process and investment for a profit. That’s the first paragraph of The Theory of Business Enterprise by Thorstein Veblen. The 1904 book is written in an unfamiliar style, combining words and formulations we don’t use any more with a decided lack of the kinds of references we’d expect in a work of sociology or economics. It shows a kind of subversive humor as well. The reference to Christendom is funny coming from an agnostic whose rejection of religion made it difficult for him to find work. And it’s blunt. The first three chapters lay out several ideas about the way society was organized at the time he wrote. By then the industrialization of the country and the consolidation into trusts, holding companies and interlocking directorates was well underway. The dominant force in society, Veblen says, was the industrial process with its intricate workings that required coordination of workers across many plants and industries for maximum efficiency. It required standardization of processes and goods across the range of activity, from hours of operation to fine details about the items produced so that they could be used for many different purposes. That meant that a large segment of the population had to adapt the way they lived to accommodate the processes of industry. The people who controlled the great enterprises held direct or indirect control over a large part of the lives a vast number of working people. At the beginning of the Industrial Revolution factories were owned an operated by individuals with a view to making a living. Over time the Captains of Industry (his words) built up capital and began to treat factories not as sources of livelihood but assets to be bought and sold, and operated as generators of profit from investment. As Veblen describes the activities of the businessmen, it feels like the creation of a market in plants and equipment and other rights of ownership like railroad rights-of-way and patents. The industrial processes themselves were not operated, or even necessarily understood, by the Captains. They were designed and operated by engineers, inventors and mechanics, ond operated by workers with varying degrees of skill. All of them were working to make production as simple and as useful as possible. They depended for their livelihoods on paychecks from the Captains of Industry. As different parts of production moved from handicraft to machine process, ownership of parts of the industrial process often were not the most efficient, as with railroads and electricity. The boundaries were unstable because the Captains of Industry were constantly fighting with one another for control of different parts of the process. Standard economics in Veblen’s time looked a lot like our neoliberal economics as taught by Mankiw. Veblen disagrees. He starts with the proposition that the sole point of investment for profit is profit, not efficiency or the good of the community. 1. Standard economics taught that businesses are efficient. The smooth working of industrial processes require constant attention and interstitial adjustments. Veblen points out that there are opportunities for profit when the smooth operation of industrial processes is disrupted. It doesn’t matter how the disruption comes about, whether there is an improvement that reduces a cost, or a spike in demand perhaps because of a war, or a drop in demand because of a depression, or whether the Captain of Industry disrupts his own operations or whether a competitor does so. Disruptions are opportunities for profit. It doesn’t matter that the workers are thrown out or the community suffers. There are profits to be made. The outcome of this management of industrial affairs through pecuniary transactions, therefore, has been to dissociate the interests of those men who exercise the discretion from the interests of the community. This is true in a peculiar degree and increasingly since the fuller development of the machine industry has brought about a close-knit and wide-reaching articulation of industrial processes, and has at the same time given rise to a class of pecuniary experts whose business is the strategic management of the interstitial relations of the system. Broadly, this class of business men, in so far as they have no ulterior strategic ends to serve, have an interest in making the disturbances of the system large and frequent, since it is in the conjunctures of change that their gain emerges. Qualifications of this proposition may be needed, and it will be necessary to return to this point presently. What this means that that there are people in businesses who job is to disrupt things to make a profit. Veblen doesn’t believe in the magic invisible hand of the market; he sees the fists of the Captains of Industry. … probably the largest, assuredly the securest and most unquestionable, service rendered by the great modern captains of industry is this curtailment of the business to be done, this sweeping retirement of business men as a class from the service and the definitive cancelment of opportunities for private enterprise. 3. Standard economics taught that businesses are subject to the indirect control of consumers, who decide by their purchases which businesses survive and which fail. Veblen says that businesses of his day, business owners are removed from actual contact with customers. There is plenty of money to be made cheating customers, he says, in part because industrial processes were so efficient that there was plenty of room for waste and war. 4. Standard economics taught that competition is the lifeblood of capitalism. Veblen says businessmen charge as much as they can. Competition is only a factor when the Captain doesn’t have a monopoly, and then it is only one of several factors. But it is very doubtful if there are any successful business ventures within the range of the modern industries from which the monopoly element is wholly absent. They are, at any rate, few and not of great magnitude. And the endeavor of all such enterprises that look to a permanent continuance of their business is to establish as much of a monopoly as may be. Fn. omitted. 5. Standard economics taught that the market pays according to the value of the work done, which is taken to be proportional to the value to the community. Veblen says there is no relationship between the profits and wages of a business and value to the community, and that money is a poor proxy for value to a community. He also says that wages bear no relation to the productive value of the work done, but rather workers are paid only enough to get them to work hard enough to make the products of their labor saleable. Standard economics from Veblen’s day is taught in Econ 101 today. Veblen is an astringent antidote. 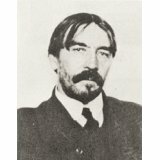 Thorstein Veblen wrote The Theory of Business Enterprise in 1904. He is best know for The Theory of the Leisure Class, with its famous phrase, conspicuous consumption. Here’s his Wikipedia entry. There are two things that recommend him to me. First, he studied with Charles Sanders Peirce, one of the central figures of American Pragmatism, and eventually worked with John Dewey, another central figure in the only genuinely American philosophy. Second, he studied with John Bates Clark, one of the earliest neoclassical economists, and rejected his views. In general, he saw the economy as embedded in social institutions, not as an entity on its own. Mark Thoma presents the views of Veblen and Clark on the state of the worker in a capitalist system; the two short pieces will help set the context for this series. Much of what I have written here is directed at showing that neoliberal economic theory is almost useless as a guide to policy that works for the 99%. The series on Thomas Kuhn’s The Structure of Scientific Revolutions showed that in the hard sciences, successful ideas are been verified and formalized and organized into textbooks to speed up learning. In economics, the academics took the same route. That’s how we got economics textbooks like Samuelson and Nordhaus and Mankiw, both of which are I have addressed in a number of posts. The difference is that practicing economists don’t believe that Econ 101 textbooks are the best understanding of the way the economy works. Those ideas can be quite dangerous. For example, academic economists used models that don’t predict crashes to advise policymakers that deregulating the financial sector would be just fine. That led to the Great Crash. There is no penalty for being wrong. The same old failures just maunder on until death knocks them out of the expert hierarchy. As far as I can tell, they have never managed to excise a single one piece of the arrant nonsense they spout to an ignorant reporter or a politician looking for validation of a crackpot idea. They can’t even kill off the gold standard which is out there today thanks to the supposedly-educated Ted Cruz. I wish to say a few words, in this place, upon the relation of Economics to Moral Science. The theory which follows is entirely based on a calculus of pleasure and pain; and the object of Economics is to maximise happiness by purchasing pleasure, as it were, at the lowest cost of pain. By “moral science” Jevons means the utilitarian philosophy of Jeremy Bentham. It was Jevons’ intent to translate those ideas into calculus. The discussion was not meant to be humorous. Keynes said that if people knew the principles underlying economics, they’d consider them preposterous, but sadly he was wrong. Nowadays, those ideas are taught to everyone as gospel. Keynes in his time, and I in mine, doubt that academic economists ever read Jevons or Pareto or any of their other intellectual ancestors, let alone the dissenters, including Veblen. It’s my hope that by reading older books at the boundary of economics and sociology and other disciplines, we can unearth a different tradition and different solutions. And here’s a story. I went to a sort of book club moderated by a very old man who had long since retired from the University of Chicago where he taught English literature. One of the books he selected was De Rerum Natura, by the Roman writer Lucretius, a fascinating work from about 50 BCE. It’s usually described as an early version of atomic theory. He started by telling us a story. He said that when he was in college he read a lot by the ancient Greeks, plays, philosophy, and even a bit of Euclid. It made him wonder why such smart people would take Greek Mythology seriously, when it was obviously just a bunch of fanciful stories. There were the Sophists who rejected the philosophy of Plato and Aristotle [cf. Zen and the Art of Motorcycle Maintenance by Robert Pirsig], but as we know from Plato, Socrates was condemned to die in part because he did not believe in the gods of Athens. It wasn’t until this session of his book club and his reading of Lucretius that he realized that there were Greeks who flatly rejected the mythology and attempted to conjure up from their limited knowledge a completely material description of the world. In just the same way, there have always been dissenting economists who offered completely different views of the way a capitalist economy works. The dominant version has concealed the dissenters, not least from themselves, but we are more likely to get a good ideas from the dissenters than from people trying to tweak the dominant structure.